I believe in setting goals, hard work, and having a never give up attitude. I love to read stories about people who have applied these attributes to their life. I was just finishing the new book, “Shoe Dog”, written by Phil Knight when the funeral of Mohammed Ali was held. People who spoke at his funeral, talked about Ali’s determination, persistence and never give up attitude. Despite setbacks and unfriendly circumstances he never gave up. I was surprised at how similar the two men, Phil Knight and Ali were. 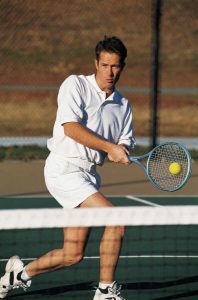 Neither man let obstacles and circumstances keep them from accomplishing their goals. They both fought with their last breath of energy, succeeded and then gave back to others. One was not just a renowned fighter in the ring – but a man who struggled with racism but never let it determine the outcome of his life. The other began with a dream, an inspiration and passion and starting with a few loans built a team of people who worked hard together to make a better shoe for athletes. After years of hard work, that shoe business became Nike. 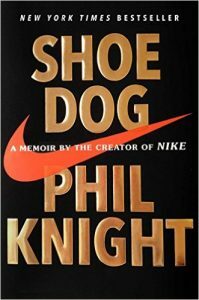 “Shoe Dog” was written by the originator and CEO of NIKE. We tend to think of the head of big companies as wealthy privileged people who have had it easy, and have gotten rich at the expense of others. We seldom hear of the long hours, the sleepless nights, team effort, hard work, belief in themselves and their product, the setbacks, the risks, or the years of being on the edge where any money made was put back into the company so it could survive and grow. It took Phil Knight and his team years to grow this quality company – long hours of work, little rest, dedication and a loving understanding spouse who stood by him. What a story and it happened in my back yard where I lived for many years – Oregon. If you want to read a great book about what it takes to keep going and succeed in life, I recommend reading this book. Follow the link below to learn more.